French journal L’Equipe has released a video in which they hint a Ballon d’Or podium without the presence of Antoine Griezmann. During the last couple of weeks, we have seen Antoine Griezmann campaigning consistently to get that Ballon d’Or that he believes he deserves but L’Equipe might not even include him on the final podium. The Atletico Madrid forward had an incredible 2018 season for both his National Team and his club, where he won the World Cup for Les Bleus and the UEFA Europa League for the Colchoneros. 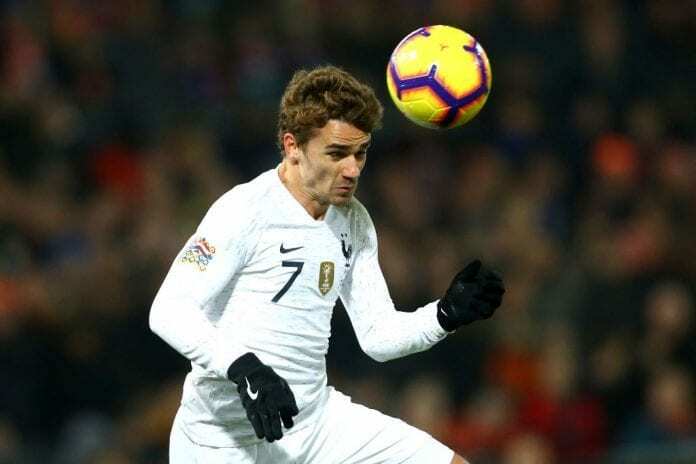 The problem here is that all the voters are looking at some other players who they consider made greater achievements than Antoine, and this could be detrimental for the Atletico player on 3 December when the Ballon d’Or gala takes place in the city of Paris. There is already an idea that at least a couple of French players will be part of the final podium for the award, the most obvious choices were Griezmann himself and Raphael Varane who also had a stellar 2018 for his club and country. The other obvious inclusion was Croatian midfielder Luka Modric, who reached the World Cup final with his country and won the UEFA Champions League with Real Madrid. The problem appeared this Monday with a promotional video that French journal L’Equipe published, in which they featured three principal players at the very start of the video without the clear presence of Antoine Griezmann or Cristiano Ronaldo. The major betting companies around the world even had a podium that included the Portuguese forward, the Croatian midfielder, and the French forward making the final three candidates for the award. However, the local press has consistently spoken about both Raphael Varane and Kylian Mbappé having more chances to make the final list than Griezmann only for their impact on both their squads alone throughout the whole year. This leaves the large number of interviews and television programs in which Antoine spoke about winning the award, completely irrelevant because it appears that he may not even make it to the gala. If this video’s hint turns out to be true, the Atletico striker’s ego will suffer a major blow after even talking about deserving to sit on the same table as Lionel Messi and Cristiano Ronaldo. It may have been a little too soon to call it, dear Antoine. As far as the possible choices are concerned, we already established that if neither Ronaldo not Griezmann made the podium, Luka Modric would be the favorite to win the award. But this latest development coming from L’Equipe might turn everything on its head because players such as Varane or Kylian Mbappé weren’t projected to make the final three, the award is free to grab by anybody at this point. If you ask me personally, I would tell you that after looking at this video and knowing how this award ceremony usually works, the winner will be between either the Real Madrid defender or the PSG young star. There is no question that if Kylian Mbappé won the Ballon d’Or, he would certainly make history and upset everybody who thought there was no chance in hell that he could accomplish this feat so early in his career. But also, if Kylian becomes the 2018 Ballon d’Or, it would most certainly be well-deserved. After all, we are talking about the biggest young talent in world football at the moment, there is nobody that comes near what he has accomplished at such a young age. According to some reports Cristiano Ronaldo won't even be in the Top 3 of the Ballon d'Or let alone win it. Who will make the final Ballon d’Or podium next December the 3rd? Please share your opinion in the comment section down below.